I also invite you to use any of the material found in this web site, be it to initiate a lawsuit, or to secure medical intervention or Social Security benefits…you ARE entitled to this information, and deserving to use it as you choose! If you think that the material contained in this section is simply MY “Pile of Bile” and history, your wrong! All of these issues continue to exists today regarding the “secrecy” surrounding post surgical adhesions and our national healthcare system and surgeons, who pretend ignorance in the symptoms of adhesions continues today as well! Though medical intervention for the symptoms of ARD remains VERY limited, surgeons are aware of those symptoms and they have been aware since 1934! Even if surgeons think they cannot offer physical resolutions to our symptoms, they most certainly can discuss the probability that our presenting symptoms could be the result of our surgical history and offer us a peace of mind instead of sending us into a whirlwind of confusion, self doubt and additional suffering! I challenge anyoneto prove me wrong in my opinions as addressed in this material! IAS Initiates Discussions with US Surgeon General Regarding Surgical Adhesions: Also DHHS and NIH discussions begin. Other communications with United States Dept. of Health regarding "Post Surgical Adhesions"
January 7, FDA Petition on the use of "Powdered Gloves" during surgery as they cause "Adhesion Formation!" My name is Beverly Doucette (aka Bev). I am an Independent Patient Advocate for people who suffer the indignities of post surgical adhesions. I would like to thank the Centers for Medicare and Medicaid Services for taking the initiative to recognize and question the impact of Adhesion Related Disorder(ARD) in the United States. As a person, who sufferers from the consequences of post surgical adhesions - as well as having had 7 operations for adhesion-related conditions - I am well aware of the need for an ICD9-CM code for the "APPLICATION OF AN ADHESION BARRIER for PREVENTION of ADHESIONS." I am also very aware of the increase in the incidence of post surgical adhesions and the impact it is having in our society today! I am not going to take the time to share my personal struggle with Adhesion Related Disorder (ARD); because I think you are familiar with the symptoms and struggles of ARD sufferers as they exist in our country today. My story is no different than the ARD stories of others;so rather than share my story with you, I prefer to share what I think will benefit those affected by ARD. I have assisted other ARD sufferers throughout the world in their search for the highest quality medical intervention available to them; and what I have learned, will offer you a better understanding of why securing this ICD9-CM code is so vitally important! Considering my personal experience with ARD and my background as a registered nurse, I understand and recognize the need for the ICD9-CM code. If I understand the need for this code, you can be assured that other citizens of the United States understand it as well; and they are questioning why an ICD9-CM code has not been established sooner - to afford them the opportunity to secure the highest quality medical intervention available in this country. Yet, because this ICD9-CM code did not exist, they have been denied the opportunity to get as well as one might get while suffering from ARD. I am of the opinion that this is an inexcusable act of negligence by the U. S. Government. It is impossible for this to be an oversight; because the sheer magnitude of information within the U. S. Government - regarding post surgical adhesions - is staggering . It has been my experience that the United States seriously lags behind many other countries in recognizing the impact ARD has on our society; and it has made no effort to decrease the ever- rising costs associated with the numbers of repeated surgical procedures being performed by surgeons for post surgical adhesions. The failure to recognize adhesiolysis procedures as being one of the most commonly performed surgical procedures performed in the USA today, leads to a lack of responsible medical intervention for the victims - whose lives are impacted by adhesions; and it deliberately imposes ever-rising medical costs on taxpayers! I have communicated with people from the Ukraine, who are able to present to a medical care provider and receive recognition of the disabilities that ARD causes. This same recognition of ARD is evident in other countries throughout Europe. The recognition of ARD allows the use of adhesion barriers in surgical procedures for ALL citizens of countries such as the Ukraine, Germany, the Netherlands, Sweden, Belgium, Australia - as well as many other countries where medical care is provided through the government. Those same ARD sufferers have the opportunity to receive a much better quality of medical intervention than their counterparts here in the so-called "progressive" USA. The recognition of post surgical adhesions as a disabling disorder - and taking the initiative, at the very least, to assume responsibility for ARD in these other countries - offers these countries the opportunity to reduce the incidence of repeated surgery for adhesions. As a result, these countries are able to reduce personal suffering from adhesion related disorder; and ultimately they are able to offer a reduction in medical costs to their government. As a taxpayer, I hold not only the Centers for Medicare and Medicaid Services (CMS) - but also other departments (who have anything to do with healthcare) within the U. S. Government - responsible for their awareness of the reasons for the rapidly rising costs of healthcare in this country. The responsibility is theirs to provide the highest quality medical intervention available today for our citizens when it is available! Post surgical adhesions create an increasing burden on our tax dollars. We know that all too well. I am sure that the rising cost of healthcare is one of the issues the CMS is taking into consideration - as the CMS ponders the necessity for this IDC9-CM code. You are to be commended in recognizing this - as well as taking the initiative to secure that code in the USA for the sake of increasing the quality of life for our citizens! Surgical intervention with the use of adhesion barriers could very well be the answer to reducing costs incurred by so many repeated surgeries. It remains a curiosity to me - and a bit of a sore spot - that the incidence of adhesion formation as the direct result of certain surgical procedures and the increasing number of those surgeries has been recognized within the medical arena for many decades. Yet, no IDC9-CM code exits to recognize adhesions as being the major medical problem that they are; and there is no ICD9-CM code to diagnose them. Bev: When we look at the above medical report about adhesions - and we look at more recent reports on the incidence of adhesions (included below) - be the etiology due to post surgical or traumatic adhesion formation, the real issue here is that there have been NO changes in these reports that would reflect action on the part of those who sit in government positions. Government officials could have intervened and created changes in the best interest of people who suffer adhesions. As the result of no change, the cost to the U.S. Government has been staggering, which equates to lack of concern by government officials in how OUR tax dollars are spent! All anyone needs to do - even the untrained medical person - is to review the material in this letter; and they will be able to conclude that it is only common sense to secure this ICD9-CM code. Bev: Let's take a look at a few more medical reports regarding the incidence of surgeries that lead to adhesion formation. In the following report NOT ONE WORD is mentioned about post surgical adhesions!! The Agency for Health Care Policy and Research (AHCPR) today announced the start of three research projects to determine the outcomes of surgery versus other treatments for dysfunctional uterine bleeding (DUB), as well as patient treatment preferences for women with endometriosis, chronic pelvic pain, fibroids, uterine prolepses or DUB. Each year in the United States, 590,000 women have hysterectomies for various conditions. The majority of hysterectomies are performed before menopause, often for abnormal uterine bleeding. U.S. hysterectomy rates are much higher than in other Western nations; and rates vary by geographic region, ethnicity and socioeconomic status. Although alternative treatments are available, there is little data that compares these treatments to hysterectomy, or various types of hysterectomy to each other. This lack of information makes it more difficult for women to choose the best treatment option. · Surgical Treatments Outcomes Project for Dysfunctional Uterine Bleeding. Principal Investigator Kay Dickersin, University of Maryland at Baltimore. Grant No. HS09506. 1996-2001. The purpose of this study is to determine the equivalence of two therapies for DUB—hysterectomy and endometrial ablation—using two randomized controlled trials. The study will examine the natural history of DUB, the effectiveness of treatment and cost. · MEDTEP Study on Hysterectomy and Dysfunctional Uterine Bleeding. Principal Investigator Sarah E. Fowler. Case-Western/Henry Ford Health Sciences Center, Detroit, Mich. Grant No. HS09502. 1996-2001. Using collaborative, multisite, randomized controlled trials, this study will compare the effectiveness, relative costs and patient outcomes of hysterectomy, endometrial ablation and hormone therapy for women with dysfunctional uterine bleeding. · Medicine Or Surgery? Principal Investigator Stephen B. Hulley, University of California at San Francisco. Grant No. HS09478. 1996-2001. The study will run two randomized controlled trials: one to compare the effects (including quality of life) and costs of medical therapy versus hysterectomy; the other to compare the effects of supracervical versus total hysterectomy on function and well-being in women who undergo abdominal hysterectomy. The study also will determine rates and patient preferences for management options for women with diagnoses of fibroids, dysfunctinal uterine bleeding, chronic pelvic pain, endometriosis or uterine prolapse. For additional information contact, AHCPR PUBLIC AFFAIRS: Karen Carp, (301) 549-0313: Karen Migdail, (301) 594-6120; or Salina Prasas, (301) 549-6385. Bev: This report is interesting when you take into consideration that in the Vick report of 1934 (See # 1. ), "a major surgical procedure had one of the second highest incidence of causing adhesion formation, only second to multiple surgeries!" There is NOT ONE WORDabout post surgical adhesive disease in this report!! Approximately 600,000 hysterectomies are performed each year in the United States at an estimated annual cost of more than $5 billion. More than one-fourth of U.S. women will have this procedure by thetime they are 60 years of age. Hysterectomy is the second most frequent major surgical procedure among reproductive-aged women. From 1980 through 1993, an estimated 8.6 million U.S. women had a hysterectomy. The traditional arguments for peritoneal closure have included, firstly, restoring the anatomy and approximation of tissues for healing, secondly, the re-establishment of a peritoneal barrier to reduce the risks of infection and, thirdly, a reduction in the risk of wound herniation or dehiscence. In addition, peritoneal closure was thought to minimize adhesion formation. On the other hand, there are arguments against peritoneal closure and these have been summarized by Duffy and diZerega.1,2Firstly, non-closure has not been observed to be detrimental, secondly, without re-approximation the peritoneum heals rapidly and, thirdly, suture presence and additional tissue handling may contribute to adhesion formation. There appears to be a good physiological explanation for this. Buckman et al3 showed that deperitonealised surfaces, which have not been otherwise traumatised, heal without permanent adhesions because they retain their ability to lyse fibrinous adhesions before organisation can occur. Peritoneum which has been made ischaemic by grafting or tight suturing not only loses its ability to lyse fibrin, but may actively inhibit fibrinolysis by normal tissues. The question of closure of peritoneum at caesarean section was addressed in four randomised controlled trials.12-15 In the last two studies, a reduced need for postoperative analgesia and a quicker return of bowel function was found when both visceral and parietal peritoneum14 or only the parietal peritoneum15 were left open. The most recent randomised controlled trial13 found shorter operating and anaesthesia times in patients receiving non-closure of the visceral peritoneum. In addition, the incidence of febrile morbidity and cystitis and the need for antibiotics and narcotics were all significantly greater when the peritoneum was closed.13 The hospital stay was significantly shorter after non-closure. Irion et al12 compared closure of both visceral and parietal peritoneum with non-closure. Postoperative ileus resolved later in the closure group and the mean operative time was shorter in the non-closure group. These four trials have all been included in the Cochrane Systematic Review.16 The review concludes that 'currently available evidence raises questions concerning the routine use of peritoneal closure as conventional practice in routine caesarean section' (Grade A recommendation). Similar findings have been noted in randomised controlled trials carried out in gynaecology. Kadanali et al17 and Than et al,18 in ovarian cancer surgery and cervical cancer surgery respectively, found improved outcomes (reduced adhesions and reduced fever) where the visceral peritoneum was left to heal on its own. In general gynaecology, Lipscomb and co-workers19 found, in a randomised controlled trial of peritoneal closure at vaginal hysterectomy, that there were no differences in postoperative complications. Nagele et al 20 in a randomised controlled trial of closure or non-closure of the visceral peritoneum in abdominal hysterectomy, found that the non-closure group had a smaller number of postoperative complications. Tulandi and co-workers11 did second-look operations in a series of patients who had parietal peritoneal closure compared to those without closure, and compared the findings to a control group of infertile women with no history of abdominal surgery. The incidence of adhesions in the two groups was not statistically significant with the incidence being 22.2% in the peritoneal closure group and 15.8% in the group not having peritoneal closure. In the control group of women who had never had abdominal surgery, no patients were found to have adhesions to the anterior abdominal wall. There have been a number of studies carried out in general surgery and the principle of non-closure of peritoneum has, for some time, been recognised by general surgeons. For example, Gilbert and co-workers21 showed that it was unnecessary to close the peritoneum with a paramedian incision. Hugh and co-workers22 found that single-layer closure of a midline abdominal incision (superficial part of the rectus sheath) was quicker and less costly and theoretically safer than layered closure, and they recommended that separate suture of the peritoneum be abandoned. In another surgical study23 the records of women who had been admitted with intestinal obstruction were examined. In this unselected patient series, a history of gynaecological surgery was a significant factor contributing to the occurrence of intestinal obstruction. They felt, in addition, that surgical peritoneal closure may result in an increased incidence of intestinal obstruction. It would appear that the closure of peritoneal surfaces, even with minimally reactive suture materials, results in increased tissue reaction and may result in increased adhesion formation. Non-closure appears to have few associated risks and may be recommended in many obstetric and gynaecological operations. Surgeons abandoning closure should be no less meticulous in other aspects of their craft. 1. Duffy D M, diZerega G S. Is peritoneal closure necessary? Obstet Gynecol Surv 1994; 49:817-22. 2. diZerega G S, Duffy D M. Is peritoneal closure necessary? The Royal College of Obstetricians and Gynaecologists, 1996, PACE Review No 96/02. 3. Buckman R F Jr, Buckman P D, Hufnagel H V, Gervin A S. A physiologic basis for the adhesion-free healing of deperitonealized surfaces. J Surg Res 1976; 21:67-76. 4. Nygaard I E, Squatrito R C. Abdominal incisions from creation to closure. Obstet Gynecol Surv 1996; 51:429-36. 5. Rayburn W F, Schwartz W J 3rd. Refinements in performing a cesarean delivery. Obstet Gynecol Surv 1996; 51:445-51. 6. Hankins G D V, Clark S L, Cunningham G, Gilstrap L C (eds). Caesarean section. In: Operative Obstetrics, 1995. Appleton and Langer, Connecticut, 301-32. 7. Elkins T E, Stovall T G, Warren J, Ling F W, Meyer N L. A histological evaluation of peritoneal injury and repair: implications for adhesion formation. Obstet Gynecol 1987; 70:225-8. 10. McFadden P M, Peacock E E Jr. Preperitoneal abdominal wound repair: incidence of dehiscence. Am J Surg 1983; 145:213-4. 11. Tulandi T, Hum H S, Gelfand M M. Closure of laparotomy incisions with or without peritoneal suturing and second-look laparoscopy. Am J Obstet Gynecol 1988; 158:536-7. 12. Irion O, Luzuy F, Beguin F. Nonclosure of the visceral and parietal peritoneum at caesarean section: a randomised controlled trial. Br J Obstet Gynaecol 1996; 103:690-4. 13. Nagele F, Karas H, Spitzer D, Staudach A, Karasegh S, Beck A, Husslein P. Closure or nonclosure of the visceral peritoneum at caesarean delivery. Am J Obstet Gynecol 1996; 174:1366-70. 14. Hull D B, Varner M W. A randomized study of closure of the peritoneum at cesarean delivery. Obstet Gynecol 1991; 77:818-21. 15. Pietrantoni M, Parsons M T, O'Brien W F, Collins E, Knuppel R A, Spellacy W N. Peritoneal closure or non-closure at cesarean. Obstet Gynecol 1991; 77:293-6. 16. Wilkinson C S, Enkin M W. Peritoneal non-closure at Caesarean section. In: Neilson J P, Crowther C A, Hodnett E D, Hofmeyr G J (eds). Pregnancy and Childbirth Module of The Cochrane Database of Systematic Reviews, [updated 2 December 1997]. Available in The Cochrane Library [database on disk and CDROM]. The Cochrane Collaboration; Issue 1. Oxford: Update Software; 1998. Updated quarterly. 17. Kadanali S, Erten O, Kucukozkan T. Pelvic and periaortic peritoneal closure or non-closure at lymphadenectomy in ovarium cancer: effects on morbidity and adhesion formation. Eur J Surg Oncol 1996; 22:282-5. 18. Than G N, Arany A A, Schunk E, Vizer M, Krommer K F. Closure or non-closure of visceral peritoneums after abdominal hysterectomies and Wertheim-Meigs radical abdominal hysterectomies. Acta Chir Hung 1994; 34:79-86. 19. Lipscomb G H, Ling F W, Stovall T G, Summitt R L Jr. Peritoneal closure at vaginal hysterectomy: a reassessment. Obstet Gynecol 1996; 87:40-3. 20. Nagele F, Kurz C, Staudach A, Steiner H, Grunberger W, Beck A, Husslein P. Closure or nonclosure of the visceral peritoneum in abdominal hysterectomy. J Gynecol Surg 1995; 11:133-9. 21. Gilbert J M, Ellis H, Foweraker S. Peritoneal closure after lateral paramedian incision. Br J Surg 1987; 74:113-5. 22. Hugh T B, Nankivell C, Meagher A P, Li B. Is closure of the peritoneal layer necessary in the repair of midline surgical abdominal wounds? World J Surg 1990; 14:231-3. 23. Stricker B, Blanco J, Fox H E. The gynecologic contribution to intestinal obstruction in females. J Am Coll Surg 1994; 178:617-20. 24. Mann T. Clinical guidelines: using clinical guidelines to improve patient care within the NHS, 1996. NHS Executive (Catalogue No 96CC0001). 1998 © Clear Passage Therapies, Inc. 6.) December 2000 American Journal of Obstetrics & Gynecology 183, pp. 1440-1447. Hospital readmission due to complications after hospital discharge was the factor most strongly and consistently associated with women's reports of negative outcomes from hysterectomy. For example, women who were readmitted to the hospital during the first year after hysterectomy were 23 times more likely to report that the results of the surgery were worse than they had expected, after adjustment for all other factors. About 5.4 percent of women were readmitted at least once to the hospital during the 2 years of follow up, and 4 percent were readmitted during the first year. The most common reasons for readmission were incision problems, surgery for adhesions, intestinal blockage, and urinary tract problems. For more information, see "Patient satisfaction with results of hysterectomy," by Kristen H. Kjerulff, Ph.D., Julia C. Rhodes, Ph.D., Patricia W. Langenberg, Ph.D., and Lynn A. Harvey, in the December 2000 American Journal of Obstetrics & Gynecology 183, pp. 1440-1447. Most patients with intestinal obstruction have had previous surgery. Rarely, the development of adhesions and resulting small bowel obstruction is attributed to previous intra-abdominal trauma. We present the case of a young man, without a history of surgery, who had been a restrained driver in a motor vehicle crash. Seven years later, the patient had an intermittent partial small bowel obstruction that recurred over the next 5 years. We review the pathophysiology and epidemiology of similar occurrences, as well as diagnostic options. The rate of adhesion formation after surgery is surprising given the relative lack of knowledge about adhesions among doctors and patients alike. From autopsies on victims of traffic accidents, Weibel and Majno (1973) found that 67% of patients who had undergone surgery had adhesions. This number increased to 81% and 93% for patients with major and multiple procedures, respectively. Similarly, Menzies and Ellis (1990) found that 93% of patients who had undergone at least one previous abdominal operation had adhesions, compared with only 10.4% of patients who had never had a previous abdominal operation. Furthermore, 1% of all laparotomies developed obstruction due to adhesions within one year of surgery with 3% leading to obstruction at some time after surgery. Of all cases of small bowel obstruction, 60-70% of cases involve adhesions (Ellis, 1997). The incidence of pelvic adhesions varies following reconstructive surgery. Diamond et al noted an 86% incidence of pelvic adhesions at second-look laparoscopy after reconstructive surgery. DeCherney and Mezer abserved a 75% incidence of adhesions after the initial procedures at 4-16 weeks. Surrey and Friedman noted a 71% incidence of adhesion formation. When a subset of these patients were studied long-term, 83% of them had adhesions. Pittaway et al found that all 23 of their patients had adhesions. Trimbos-Kemper et al observed adhesions in 55% of their patients. Finally, Daniell and Pittaway noted adhesion formation in 96% of women at second look laparoscopy following reconstructive surgery. It is important to note that the adhesions seen in these studies represent not only adhesion reformation, but De Novo adhesion formation as well. Diamond MP. Surgical aspects of infertility. In: Sciarra JW, ed. Gynecology and Obstetrics. Philadelphia, Pa: Harper & Row; 1988;5:chap 61. There is little doubt that abdominal adhesions form in response to peritoneal trauma. Bev: The ICD9-CM code IS primarily for the use of adhesion barriers in a surgery and I agree that is vital, if we are going to impact ARD in a progressive way and offer opportunities that will help to benefit some adhesion sufferer and put them on the road to a higher quality of life! I see more possibilities for this ICD9-CM, as well. Once this ICD9-CM code is approved, the doors will be open once again for the U.S. Government to take a look at the impact that Adhesion Related Disorder has on our society!! The acceptance of this code will give those government officials (whom I mentioned earlier) - who have the responsibility to make changes in our national health care system - the opportunity to right a wrong!! Hopefully, these officials will be compassionate, honest people with new and progressive attitudes about the welfare of their consitituents!! There is no doubt in my mind that this ICD9-CM code will be secured; because it would be plain negligence for any national government agency to ignore or deny that there is overwhelming evidence that post surgical and traumatic adhesions are one of the most costly medical expenses in the United States today!!! Our government is experiencing a new generation of voters and tax payers, who are better educated and better informed than ever before; because ready access to information does not allow anything to be hidden from anyone who looks for it today! 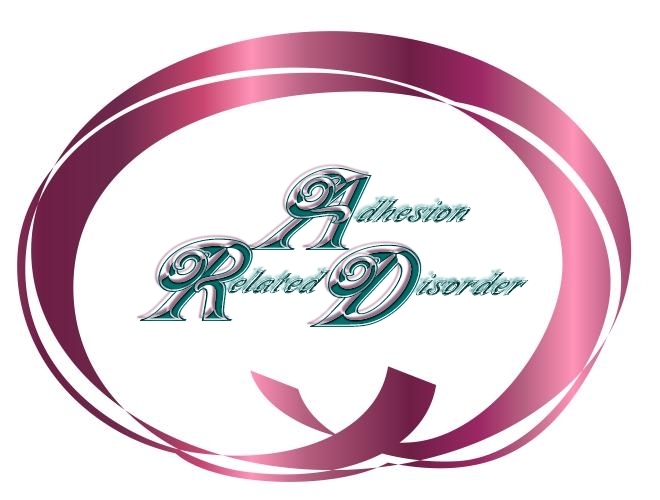 The word is already out regarding Adhesion Related Disorder; and the facts surrounding ARD will not disappear!! Governmental agencies and positions will be held accountable for the health care needs of our nation's taxpayers. Attention to those needs must start now with the implementation of this new ICD9-CM code for the application of adhesion barriers for adhesion protection!! If it is not, someone will have to answer to why it wasn't implemented!! If the governing bodies of our nation's health care system had heeded reports - like those I have share with you (reports numbered 1-10) - those who currently suffer from Adhesion Related Disorder might have been spared the pain and anguish so many experience today!! Reports show that our tax dollars have been spent on government-funded health care programs; and these reports prove - without a doubt - that post surgical adhesions have impacted the people of our nation with unnecessary suffering at a staggering rate and cost!! Questions are beginning to surface as to why has there never been a national campaign for awareness and education about the existence and etiology of post surgical adhesions? Our government knew of the magnitude of this medical problem!! How come the numbers increased instead of decreased? There are hundreds of thousands of people in this country, who struggle with the intractable pain of adhesions on a daily basis - every minute of each day!! Had the government responded to these reports in a responsible and respectful way, these people could've had a better chance for a more comfortable, pain-free life. If only I had known that adhesions are one of the risks of surgery, I know that I could be enjoying a higher quality of life today; and there is no doubt about that at all! If our government health agencies had acted in our best interests when the connection between surgery and adhesions first became known, many people of this great nation could have been spared alot of pain and suffering; and the resulting tremendous cost to our government could have been averted!! We trusted our government to inform us about health issues; but our government failed us when we were not given the opportunity to be informed so that we would be able to make informed decisions about our personal health issues. I am asking the Centers for Medicare and Medicaid Services to pursue with diligence in getting the ICD9-CM surgical code approved for the application of adhesion barriers for adhesion protection. I am offering my assistance in any way possible. This code is justified; and God knows it is time to get it secured for the United States of America! Dr. David Wiseman, PhD, SYNECHION, INC.
Brenda Door is the representative for the Surgeon General, Dr. David Satcher M.D. Brenda stated in a phone call to me today that Dr. Satcher had received the binder of information on ARD that I had sent him. Dr. Satcher would like the IAS to schedule an appointment with him regarding Adhesion Related Disease when he is in DALLAS, TX, USA: Thursday 23rd January 2003. I will present an agenda and time frame for the meeting with him. 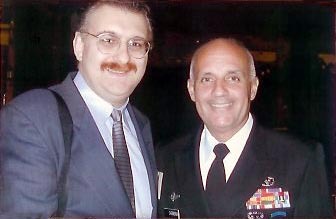 DALLAS, TX, USA: Thursday 23rd January 2003: Today the International Adhesions Society initiated discussions with Vice Admiral Dr. Richard Carmona, the Surgeon General of the United States, concerning public health issues related to post-surgical adhesions. Dr. David Wiseman, Founder of the International Adhesions Society met with the Surgeon General as well as with two of his aides. "Having been a paramedic, nurse and a surgeon, Dr. Carmona knew immediately from several perspectives what we were talking about. I think he was certainly sympathetic with our case and will be supportive in the future," said Dr. Wiseman. "This is all very exciting as we also met with senior representatives of the US Department of Health and Human Services today. Last week we were contacted by NIH about assiating them in an study involving adhesions." We are finally begining to get the problem of adhesions recognized. We will keep you posted on developments as well as on our broader PR and lobbying campaign. for laying the groundwork for this landmark meeting. Shown in the photo are Doctors Carmona and Wiseman. So why would women keep coming back for a treatment that seem so ineffective? University of Tennessee in Memphis. * May 30, 200 1 Newsday, the Chicago Sun Times, the Detroit Free Press and the Los Angeles Times. University of Washington in Seattle and at Yale University in New Haven, Conn.
IS THE most frequent cause of re-operations in the world today. ARD can cause severe chronic pain, and other symptoms, that impact the lives of it’s victims and society as a whole, as the resulting outcome of those surgeries find the patients being left with permanent disabling symptoms. addressed at the National level. “Adhesion Related Disease. ” I am also the outreach director for the International Adhesion Society, where I assist others in educating, supporting and assisting ARD sufferers. First I would like to take this opportunity to tell you how pleased I am that President Bush thought enough of you to bring on board. I hope that you will do for the country what you did for our state! I know how much I appreciated your diligence in serving people in the highest quality of service a public official can give. and you sure did that for Wisconsin! I am asked to extend a greeting to you from Senator Mike Ellis and my sister, Kay Reetz! I am asking for an appointment with you or your Health Issues Representative to discuss issues surrounding Adhesion Related Disease. There are a great number of ARD sufferers across America who desperately needs your intervention. I will be in Washington D.C. from April 25th – April 30th. I have medical appointments on Wednesday, April 25th, but will avail myself to you on any of the remaining days. As I stated, I advocate for people who suffer a disease called “ Adhesion related Disease.” This disease is very painful and infringing on one’s life. The etiology of ARD is normally the result of surgical trauma, but it can also be caused by a variety of other things. I have enclosed information that I think will educate you to this very devastating disease. I would like to ask that you focus your attention on the impact of ARD on our society today, not only in the medical community, but the cost involvement to insurance companies and to the ARD sufferers them selves. Also of concern to the International Adhesion society is the lack of effective and quality medical intervention available to post surgical adhesion sufferers in the United States today. These issues are among others I need to discuss. I am involved in advocating for Adhesion Related Disease patients across the United States as well as in many other countries. I am acclimated to how the ARD patients are recognized in other countries verses those here in the United States of America. I have enclosed a small sample of how ARD is recognized in the Ukraine and in Germany. Unfortunately this information will show that this country lags far behind when recognizing or respecting ARD sufferers. You will be able to see how we have failed our own people when it comes to helping those in our own county who suffer ARD! We need to make progress in this area! I am hoping that you will be instrumental in bringing awareness of this disease to the attention of the public, recognition of our plight as we fight for our lives trying to cope with ARD, and make every effort in researching ways to overcome this most insidious disease. Secretary Thompson, I am bringing this issue to your attention, as the International Adhesion Society will be putting out a press release to the media this year regarding Adhesion Related Disease. I am currently assisting on this project and am in communication with newspaper reporters throughout the country, as well as in a few other countries. Out of respect for you and your position, I did not want this issue to be an element of surprise to you; after all, we are both have Wisconsin ties. Please confirm with me the possibility of meeting you or your aid regarding these issues. If a meeting is not possible, may I present written information for your study? Following my presentation a written communication from the Department of Health and Human Services would be appreciated. As ARD sufferers, we hope that action would be taken that would impact our lives here in the United States in a positive and progressive way. Please know that it is my intention to do everything I can to get this disease recognized. I will not simply sit back and watch the unjust suffering of so many. Interestingly enough, Janna Bush, one of the President Bush’s twin daughters had an emergency appendectomy last November...the incidence of getting ARD from a surgery like that is only about 97%!! Thank-you for taking the time to consideration my request to support education and awareness of Adhesion Related Disorder at the national level. I look forward to hearing from you soon. Adhesion Related Disease is THE most infringing and disabling disease in the world today. **The surgery that separates organs that are attached from a prior surgical procedure is called an : adhesiolysis. **An adhesiolysis procedure is performed in this world as often as an appendectomy, a coronary bypass and hip replacements. ** An adhesiolysis procedure is the number one problem from a surgery as it is the result of ANY surgical procedue completed on the human body! ** An adhesiolysis is ussualy NOT the schedlued operastive procedure, but is performed in relationship to another surgical procedure of a prior diagnosed medical conditon..but as a result of a prio surgery on the patient, the surgeon finds that he is faced with lysing through adhesions before they can preceed with the scheduled surgery that was planned! ** Adhesions are found in 97% of all second or " re operative " precedures!! **Adhesions form as a result of a laporotomy (which is an incision into the abdominal cavity over 3 inches long ) ..adhesions do NOt form as a result of a laporoscopc surgery in and of itself as the intra abdominal incisions are so minimal adhesions do not occur. So, when possible, a laporoscopic procedure is the best route for any invasive surgery..BUTmost surgeons cannot perform them with enough skill , so they resort to laporotomies instead! According to the International Pelvic Pain Society. Chronic pelvic pain is estimated to affect nearly 15% of women between 18 and 50 (Mathias et al., 1996). Other estimates arrive at between 200,000 and 2 million women in the United States (Paul, 1998). It is imperative that a disease of this caliber get proper notice via a governmental office as if it is not presented to the public in such a way as to inform as well as educate, it WILL create panic simply by learning how one develops Adhesion Related Disease. It is my impression that once ARD is brought to the attention of the public, it will not only impact surgery in a negative way it WILL change the way surgery is perceived in our society today! 3.) Educate them as to the impact of ARD on insurance costs, and on society as a whole. I am hoping that you will recognize the need for all persons in our society to be made aware of ARD! It IS going to happen, people are becoming aware of ARD more and more through societies such as the International Adhesion Society and chronic pain support groups due to the vast network of the Internet! . I am sure you can see the potential for panic when it comes to the realization of the cause of post surgical adhesions, and it’s potential impact on surgery, as we know it today! It will only be through education of ARD that we will be able to make the most positive and profound impact. If we are to save people from not only getting ARD but from suffering the same atrocities that those who suffer with it every minute of every day of their lives, we must educate the public as well as our physicians about ARD! It is imperative that this disease get proper notice via a governmental office as if it is not presented to the public in such a way as to inform as well as educate, it WILL create panic simply by learning how one develops Adhesion Related Disease. It is my impression that once ARD is brought to the attention of the public, it will not only impact surgery in a negative way it WILL change the way surgery is perceived in our society today! I am prepared to forward to you prior to my arrival in Washington D.C. as well as bring with me material that substantiates everything that I have brought to your attention regarding Adhesion Related Disease. Here are only two ARD cases out of hundreds of cases of “Adhesion Related Disease” that I intervene on each and everyday! All have similarities, yet each case is unique! ARD is unique in each of these cases only due to the unique way in which it impacts itself into each persons life. The disease itself is not unique at all! Let me introduce Karla Nygren of Marinette, Wisconsin. This case of Adhesion Related Disease will offer you a very personal look into the life of an adhesion sufferer who is 23 surgeons post operatively. Ms. Karla Nygren. 1. Initial surgery performed using CO2 laser plus 35% dextran 70 or nonlaser surgical technique with or without dextran. Results are pooled over three initial surgical procedure groups. Adapted from Diamond MP. Surgical aspects of infertility. In: Gynecology and Obstetrics, 1991. Adhesions are common and can form on any surface in the pelvis and abdomen after surgery. However, some organs are more likely to develop adhesions than others. Diamond et al reported that the ovary, pelvic sidewall, and fimbria are the most common sites for adhesion formation. In fact, they found that more than one half of patients developed adhesions to an ovary following surgery. The incidence of adhesion formation following surgery to the pelvic sidewall and fimbria was 40% and 36%, respectively. Reference: Diamond MP. Surgical aspects of infertility. In: Sciarra JJ, Simpson JL, Speroff L, eds. Gynecology and Obstetrics. Philadelphia, Pa: JB Lippincott Co; 1991;5:1-23. *Secretary Tommy Thompson directed my communication to Dr. Hamilton of the National Institute of Health. Please see those communications below. YOUR STORY will help to make a difference!!... Must be received by January 8th!!! The U.S. Government - more specifically Medicare and Medicaid (government health insurance programs) - wants to hear from Adhesion Sufferers - that's YOU and ME from the United States!! TOGETHER WE CAN MAKE A DIFFERENCE - if as many of us Adhesion Sufferers as possible send our letters petitioning the U.S. Government to establish an ICD-9-CM code to help them collect data on the significant surgical procedure known as "APPLICATION OF AN ADHESION BARRIER for PREVENTION of ADHESIONS". The government needs to know IF surgeons are using adhesion barriers; and IF the use of adhesion barriers can be successful in preventing adhesions. Currently, there is no code for this purpose!! With the establishment of an ICD-9-CM code - meant specifically for "the application of an adhesion barrier" - I suspect that Medicare and Medicaid will decide to increase the monetary reimbursement (in other words pay "more" money) to surgeons, who use adhesion barriers at the conclusion of surgical procedures. With the addition of this "new code," Medicare and Medicaid will then be able to record how often adhesion barriers are actually used. They will also be able to track how effective the use of adhesion barriers are in preventing adhesions. I also suspect that one of the reasons that Medicare and Medicaid are considering a new surgical code for adhesions is that they are trying to find a way to reduce the number of repeated surgeries -and thus save the government money. You may not be benefiting from either Medicare or Medicaid at this time; but it is inevitable that some day you will!! NOW is the perfect time to start preparing for a future that may one day provide the answer and an end to the enormous pain that so many of you endure - day by day, month to month - year to year!! I hope I have convinced you that IN NUMBERS - and there certainly are alot of us, who suffer from adhesions - TOGETHER WE CAN MAKE A DIFFERENCE!! NOW is the time to respond to this petition; and the best way to do this is to let your voice be heard through your very personal and painful adhesion stories. If you have already entered your story on the ADHESIONS QUILT, your Adhesion Quilt story will make an impression on those, who read the petitions. An ICD-9-CM code number will provide the government with alot of revealing information about adhesions; and perhaps could even open the door to getting adhesions recognized as a disease some day in the future. This IS a great opportunity for us to let the government know that there actually are alot of people who are suffering from surgical adhesions. We need to tell them exactly how adhesions have affected our lives - and how adhesions continue to affect not only our lives but also the lives of those we hold most dear!! I do not profess to be an expert on adhesions or anything to do with the government; but I DO SENSE -- as a result of Dr. Wiseman's tireless efforts in organizing the the International Adhesions Society, Bev's trip to Washington, D.C. to talk to government dignitaries from her state, and this opportunity to petition for an ICD-9-CM code for the use of adhesion barriers to help prevent adhesions after surgical procedures -- THAT ALL OF THESE EFFORTS COULD BE A STEP IN THE RIGHT DIRECTION and eventually could bring adhesions "out of the closet" and into the light!! Who knows? As the result of petitioning for this special surgical ICD-9-CM code for adhesions, perhaps one day this could lead to a national education program - specifically about adhesions. I can dream, can't I? Don't you think this is possible? PLEASE DO YOUR PART BY WRITING "YOUR STORY"; and CALL ATTENTION TO THE SERIOUS PROBLEMS YOU HAVE BEEN FORCED TO ENDURE BECAUSE OF THE SEVERE PAIN OF ADHESIONS!! Please note that the appendices referred to in this petition are not available online. If you would like to receive copies of the appendices, please call 202 588-1000. Public Citizen’s Health Research Group and its Director, Sidney M. Wolfe, MD and Staff Researcher, Christine Dehlendorf, and Timothy Sullivan, MD, Professor of Medicine at Emory University School of Medicine and Head of the Subsection of Allergy and Immunology at the Emory Clinic hereby petition the Food and Administration (FDA) to immediately ban the use of cornstarch powder in the manufacture of latex surgical and examination gloves because of the serious and widespread dangers these gloves cause to medical personnel and to patients. An acceptable substitute, non-powdered gloves, is available and has already been implemented in many places. FDA’s legal mandate to require such a ban is found in section 516 of the Food Drug and Cosmetic Act, 21USC 360(f). The continued use of powdered latex gloves is unacceptably harmful and the FDA must act to ban such dangerous products. According to industry sales data, 26% of the U.S. surgical glove market is currently comprised of the sales of powder-free latex gloves.1 Following are three examples of hospitals which switched from cornstarch powdered gloves to powder-free gloves. In 1993, Brigham and Women’s Hospital, a Harvard teaching hospital in Boston, experienced a mysterious epidemic among operating room personnel, in which 12 to 14 employees a day were unable to complete their typical duties due to allergic reactions. An internal investigation, followed by the hiring of an environmental consultant, identified the source of the epidemic to exposure to latex -- especially to aerosolized glove powder, which bound the latex proteins (Appendix A). Following this experience, the hospital became powder-free. In other words, they no longer used powdered latex surgical gloves. In December of 1995, Jackson Memorial Hospital in Miami also chose to convert to low allergen, powder-free gloves, "after an epidemic of latex allergy, glove dermatitis and occupational asthma" (Appendix B). The number of complaints of reactions to latex plummeted after the switch was made. Following the lead of these hospitals, Methodist Hospital in Indianapolis eliminated all powdered gloves from their facility in late 1995 and early 1996 after having more than 80 employees be identified as allergic to latex. As a result of the switch none of the allergic employees needed to leave their jobs (Appendix C). The experiences of these hospitals are part of a rapidly growing recognition of problems with cornstarch powdered gloves. In addition to the link with latex allergies noted above, evidence also indicates that cornstarch causes surgical complications. In order to protect patients and health care workers from the risks of exposure to cornstarch, the FDA must follow the example of these hospitals by taking immediate action to ban its use as a lubricant for surgical and examination gloves. In delineating the basis for urging the FDA to immediately implement this ban, this petition, following a brief discussion of the history of powdered gloves, details the serious medical problems associated with the use of cornstarch powder on surgical and examination gloves and addresses perceived barriers to the implementation of the proposed ban. This petition builds on Dr. Richard Edlich’s (distinguished Professor of Plastic Surgery and Biomedical Engineering, University of Virginia School of Medicine) previous contacts with the FDA requesting a ban on cornstarch. On December 7 and 14th, 1995, Dr. Edlich sent letters to the FDA requesting a ban on cornstarch (Appendix D & E), and included in his letter scientific studies indicating that cornstarch-powdered gloves caused toxic reactions to tissues. Six months later, on June 3, 1996, Carol J. Shirk, Consumer Safety Officer of the FDA, responded to his letter, and informed Dr. Edlich that the FDA was extensively investigating his request and that he would be advised of the outcome of the review once a policy was determined regarding cornstarch powdered gloves (Appendix F). On July 15, 1997, he was informed by the FDA that they had made no final decision regarding this issue. We are therefore demanding that the FDA immediately take action to address this widespread public health problem. The FDA regulation, which went into effect September 30, 1997, requiring latex-containing medical devices such as gloves to contain a warning that the product contains latex "which may cause an allergic reaction" is appropriate for those products for which there is no safer substitute. But for powdered latex gloves, anything short of a ban--such as merely this label--is a dangerous insult to the millions of patients and tens of thousands of health care workers whose lives and health are jeopardized by the continued use in health care settings of these powdered gloves. When surgical gloves were introduced at the turn of the century, they were sterilized by boiling and could only be donned by pulling the rubber gloves over wet hands. Because the wet hands of the surgical staff became macerated under the occlusive cover of the rubber glove, predisposing to severe dermatitis, surgeons searched for a dry lubricant that would facilitate donning and prevent the gloves from sticking together during the pressurized steam sterilization process (autoclaving). An early lubricant, a powder made of Lycopodium spores (club moss) was identified as causing foreign body responses, including adhesions and granulomas. 2 Talcum powder (hydrous magnesium silicate), a non-absorbable lubricant, was also implicated in the production of granuloma in tissues and adhesion formation in the peritoneal cavity.3,4 In the study in 1947,4 Lee and Lehman, in addition to verifying the increasing evidence that talcum powder was a dangerous disease-promoting factor in human surgery, identified what appeared to be an acceptable alternative to talc -- cornstarch powder. They found that cornstarch powder was completely absorbed from the peritoneum (abdominal cavity) without any demonstrated inflammation and it produced no adhesions whatsoever. Because it was a cornstarch powder, it was taken up by the peritoneum and metabolized like any ingested starch. By 1952 a sample survey indicated that cornstarch had replaced talc in 60% to 90% of hospitals in the U.S.,5 and currently is found as the lubricant on most surgical and examination gloves used by health care workers. However, experimental and clinical studies in the last 50 years have continually documented dangerous side effects of this absorbable lubricant. There has also been increasing evidence of a link between cornstarch and latex allergies. Likely in response to concerns about adverse effects caused by cornstarch, in 1971 the FDA required that manufacturers place warning labels on the glove packages which stated that glove users should remove cornstarch from the glove surfaces by wiping the gloves with a wet sponge, towel, or by using another effective method.6 In addition, realizing these serious dangers to the patients and health professionals, numerous manufacturers have developed powder-free surgical gloves, removing a barrier to the elimination of cornstarch powdered gloves. However, despite this recognition of the dangers of cornstarch and the existing technological advances in glove manufacturing, most hospitals continue to use powdered gloves. It is important to recognize that simply warning health care workers to wash the cornstarch off gloves prior to use does not prevent the adverse effects discussed above. Jagelman and Ellis18 reported that washing with water reduced the number of starch granules, but left significant cornstarch on the glove that appeared to aggregate as clumps. They postulated that the development of clumps of cornstarch would promote a delay in absorption and an enhancement of the foreign-body reaction. In 1980, Tolbert and Brown19 provided further evidence that glove washing with a saline solution left a portion of the cornstarch on the glove surface. The most effective method of washing the cornstarch from the gloves involves a one minute cleansing with 10 mL of povidone-iodine followed by a 30 second rinse under sterile water.20 This technique reduced the median number of starch granules per mm2 of glove, as seen on microscopic examination, from 2,720 (when no attempt to remove the powder was made) to 0 (when the povidone-iodine method was performed). However, this technique is time-consuming, costly, and burdensome to the clinical staff and can not ensure that all powder particles have been eliminated. Even if these procedures were completely effective, it would still be necessary to ensure that health care workers adhere to the washing guidelines if the cornstarch powder is to be removed. In a study conducted by Fay and Dooher,21 the surgical staff's compliance with glove washing to remove cornstarch lubricants was examined. Only 17% of the surgeons and 21% of the surgical nursing staff washed their gloves after donning. These investigators attributed the slightly higher levels of compliance among nurses to practices taught in nursing school and/or to references to the need for glove washing in nursing journals and textbooks. Information about glove washing might not be included in medical education. It is also important to realize that some departments in the hospital use powdered surgical gloves in an environment in which they do not have easy access to sterile wash basins. For example, emergency physicians in Emergency Departments treat more than 10 million patients annually using sterile surgical gloves. During wound treatment, they usually do not have the benefit of a nursing assistant who prepares a sterile wash basin filled with sterile saline in which they can attempt to remove cornstarch from their gloves. Consequently, most emergency physicians use gloves lubricated with cornstarch during their wound closure techniques. The evidence of the adverse effects of cornstarch and the growing problem of latex allergies, especially among health care professionals, indicate that the continued use of this powder on surgical and examination gloves is of major concern. It is clear that alternatives which are effective and well established in the market exist, and that, if the cost of powdered gloves are adjusted to include the cost of wash basins required to remove the powder, extra gloves, workers’ compensation claims, and the loss of the experience of health care workers, there is no economic justification for failing to halt the use of cornstarch on gloves. We therefore urge the FDA to take immediate action to ban the use of surgical and examination gloves with cornstarch lubricants. We expect a prompt response to this urgent petition. 1. IMS Hospital Supply Source Index, 2nd Quarter 1997. For that quarter, the total sales of surgical gloves was $170 million, with $44.2 million for powder-free latex gloves. 2. Antopole W. Lycopodium Granuloma. Arch Path 1933; 16:326-31. 3. German WM. Dusting powder granulomas following surgery. Surg Gynecol Obstet 1943; 76:501-2. 4. Lee CM , Lehman EP. Experiments with nonirritating glove powder. Surg Gynecol Obstet 1947; 84:689-95. 5. Lee CM, Collins WT, Largen TL. A reappraisal of absorbable glove powder. Surg Gynecol Obstet 1952; 95:725-37. 6. Stigi J, Lowery A, Project Officers. Department of Health and Human Services, Center for Devices and Radiological Health. Guidance for Medical Gloves: A Workshop Manual. HHS Publication FDA 96-4257 (September 1996):p. 4-4. 7. Jaffray DC, Nade S. Does surgical glove powder decrease the inoculum of bacteria required to produce an abscess? J Roy Coll Surg, Edin 1983; 28:219-22. 8. Ruhl CM, Urbancic JH, Foresman PA, Cox MJ, Rodeheaver GT, Zura RD, Edlich RF. A new hazard of cornstarch, an absorbable dusting powder. J Emerg Med 1994; 12:11-4. 9. Luijendijk RW, de Lange DCD, Wauters CCP, Hop WCJ, Duron JJ, Pailler JL, et al. Foreign material in postoperative adhesions. Ann Surg 1996; 223:242-8. 10. Cooke SAR, Hamilton DG. The significance of starch powder contamination in the aetiology of peritoneal adhesions. Br J Surg; 1977 64:410-2. 11. Holmdahl L, Al-Jabreen M, Xia G, Risberg B. The impact of starch powdered gloves on the formation of adhesions in rats. Eur J Surg 1994; 160:257-61. 12. Ellis H. The hazards of surgical glove dusting powders. Surg Gynecol Obstet 1990; 171:521-7. 13. Aronson SB. Starch Endophthalmitis. Amer J Ophth 1972; 73:570-9. 14. Warshaw AL, Mills JL. Starch pleuritis: a postthoractomy syndrome possibly caused by surgical glove powder. Surgery 1974; 75:296-8. 15. Dunkley B, Lewis TT. Meningeal reaction to starch powder in the cerebrospinal fluid. Br Med J 1977; 2:1391-2. 17. Freemont AJ, Porter ML, Tomlinson I, Clage RB, Jayson MIV. Starch synovitis. J Clin Pathol 1984; 37:990-2. 18. Jagelman DG, Ellis H. Starch and intraperitoneal adhesion formation. Br J Surg 1973; 60:111-4. 19. Tolbert TW, Brown JL. Surface powders on surgical gloves. Arch Surg 1980; 115:729-32. 20. Fraser I. Simple and effective method of removing starch powder from surgical gloves. Br Med J 1982; 284:1835. 21. Fay MF, Dooher DT. Surgical Gloves: Measuring Cost and Barrier Effectiveness. AORN J 1992; 55:1500-19. 22. Sussman GL, Tarlo S, Dolovich J. The spectrum of IgE mediated responses to latex. JAMA 1991; 265:2844-7. 23. Spaner D, Dolovich J, Tarlo S, Sussman G, Buttoo K. Hypersensitivity to nature latex. J Allergy Clin Immunol 1989; 83:1135-7. 24. Morales C, Basomba A, Carreira J, Sastre A. Anaphylaxis produced by rubber glove contact. Case reports and immunological identification of the antigens involved. Clin Exp Allergy 1989; 19:425-30. 25. Wrangsjö K, Wahlberg JE, Axelsson IGK. IgE-mediated allergy to natural rubber in 30 patients with contact urticaria. Contact Dermatitis 1988; 19:264-71. 26. Axelsson JGK, Johansson GO, Wrangsjök. IgE-mediated anaphylactoid reactions to rubber. Allergy 1987; 42:46-50. 27. Frosch PJ, Wahl R, Bahmer FA, Maasch HJ. Contact Urticaria to rubber gloves is IgE-mediated. Contact Dermatitis 1986; 14:241-5. 28. Carrillo T, Cuevas M, Muñoz T, Hinojosa M, Moneo I. Contact urticaria and rhinitis from latex surgical gloves. Contact Dermatitis 1986; 15:69-72. 29. Jaeger D, Kleinhans D, Czuppon AB, Baur X. Latex-specific proteins causing immediate-type cutaneous, nasal, bronchial, and systemic reactions. J Allergy Clin Immunol 1992; 89:759-68. 30. Turjanmaa K, Laurila K, Mäkinen-Kiljunen S, Reunala T. Rubber contact urticaria: allergenic properties of 19 brands of surgical gloves. Contact Dermatitis 1988; 19:362-7. 31. Tarlo SM, Wong L, Roos J, Booth N. Occupational asthma caused by latex in a surgical glove manufacturing plant. J Allergy Clin Immunol 1990; 85:626-31. 32. Dillard SF, MacCollum MA. Food and Drug Administration, Center for Devices and Radiological Health. Reports to FDA: allergic reactions to latex containing medical devices. International Latex Conference, Baltimore, Maryland, November 5-7, 1992. Sensitivity to latex in medical devices. 1992:23. Abstract. 33. Zoltan BT, Luciano WJ, James WD. Latex glove allergy: a survey of the U.S. Army Dental Corps. JAMA 1992; 286:2695-7. 34. Kaczmarek RG, Silverman BG, Gross TP, Hamilton RG, Kessler E, Arrowsmith-Lowe JT, Moore RM. Prevalence of latex-specific IgE antibodies in hospital personnel. Ann Allergy Asthma Immunol 1996; 76:51-6. 35. Liss GM, Sussman GL, Deal K, Brown S, Cividino M, Siu S, Beezhold DH, et al. Latex allergy: epidemiological study of 1,351 hospital workers. Occup Environ Med 1997; 54:335-42. 36. Douglas R, Morton J, Czarny D, O’Hehir RE. Prevalence of IgE-mediated allergy to latex in hospital nursing staff. Aust NZ J Med 1997; 27:165-9. 37. Beezhold D, Beck WC. Surgical glove powders bind latex antigens. Arch Surg 1992; 127: 1354-7. 38. Tomazic VS, Shampaine, EL, Lamanna A, Withrow TJ, Adkinson NF, Hamilton RG. Cornstarch powder on latex products is an allergen carrier. J Allergy Clin Immunol 1994; 93:751-8. 39. Tarlo SM, Sussman G, Contala A, Swanson MC. Control of airborne latex by use of powder-free latex gloves. J Allergy Clin Immunol 1994; 93:985-9. 40. Baur X, Jager D. Airborne antigens from latex gloves. Lancet 1990; 335:912. 41. Pisati G, Baruffini A, Bernabeo F, Stanizzi R. Bronchial provocation testing in the diagnosis of occupational asthma due to latex surgical gloves. Eur Respir J 1994; 7:332-6. 42. Lagier F, Badier M, Martigny M, Charpin D, Vervloet D. Latex as aeroallergen. Lancet 1990; 336:516-7. 43. Pavlovich LJ, Cox MJ, Thacker JG, Edlich RF. Ease of donning of surgical gloves: an important consideration in glove selection. J Emerg Med 1995; 13:353-5. On July 30, 1999, the Food and Drug Administration (FDA) issued a proposed rule announcing significant changes in the requirements for all medical gloves. The proposed regulation is available through the FDA MedWatch Web site. The FDA is proposing regulations to reclassify all surgical and patient examination gloves as class II medical devices because it believes that general controls are insufficient to provide a reasonable assurance of safety and effectiveness. The reclassified gloves, including those made of natural rubber latex (NRL) or synthetic material, will be regulated in four categories: powdered surgeon's gloves, powder-free surgeon's gloves, powdered patient examination gloves and powder-free patient examination gloves. The proposed special controls are in the form of a proposed guidance document titled "Medical Glove Guidance Manual," which includes recommended protein and glove powder limits, new label caution statements and expiration dating. This proposed rule is intended to reduce the adverse health effects from allergic and foreign body reactions caused by the natural latex (NL) protein allergens and glove powder found on surgical and patient examination gloves and to reduce the adverse health effects from defects in the barrier integrity and quality of surgical and patient examination gloves. Written comments regarding the proposed new regulations will be accepted until October 28, 1999. Submit written comments to the Dockets Management Branch (HFA-305), Food and Drug Administration, 5630 Fishers Lane, Room 1061, Rockville, MD 20852. Surgeon's and patient examination gloves have been associated with a number of adverse health effects in patients and users, including allergic reactions, foreign body reactions and irritation. Studies of health care workers, blood donors and ambulatory surgical patients have demonstrated an appreciable prevalence of NL sensitivity. The FDA has received 330 reports of adverse events attributed to NL allergy occurring in patients and health care workers, which suggests that allergic reaction to NRL products in health care settings manifests itself in a variety of symptoms ranging from dermatitis to anaphylaxis. Though medical intervention for the symptoms of ARD remains VERY limited, surgeons are aware of those symptoms and they have been aware since 1932! Adhesions have now become the leading cause of intestinal obstruction. The diagnosis though being straight forward, management poses a lot of problems due to the high incidence of recurrence. The advent of laparoscopic surgery may alter the incidence of adhesions. Despite the promise of laparoscopic surgery adhesions still continue to be a major source of concern for surgeons not only because of technical difficulties but also because of the volume of work they generate. In the absence of any clinically proven means of preventing adhesions from forming, the onus lies with the surgeon to try and reduce their occurrence by improved and meticulous surgical techniques. The clinical presentation of intestinal obstruction is well known to all surgeons when the patient presents with a previous history of abdominal surgery, the most likely diagnosis is adhesions. The incidence of postoperative adhesive intestinal obstruction has been gradually increasing over the last few decades. Vick in 1932 reported that adhesions accounted for 7% of all cases of intestinal obstruction. During the last few decades the leading cause of intestinal obstruction was strangulated external hernia. The overall incidence of adhesive intestinal obstruction in 30% as shown in the studies conducted by Nemir, Perry, Bevan and Mc Entee.,, Subsequent studies have revealed a steady rise in the incidence of intestinal obstruction to the present day incidence of about 40%. Various studies have been carried out to assess the severity of problems posed by adhesions. Weibel and Majno carried out a study in a post mortem series to find out the incidence of adhesions. [21,22] In cadavers with no preceding abdominal surgery, adhesions were found in 28% and in those that had minor abdominal surgery 67% had adhesions [21,22] With other abdominal surgery the reported incidence was 50%. If major surgery had been performed adhesions were present in 76% and in cases of multiple abdominal surgery 93% had adhesions. The incidence of adhesions has also been studied in living subjects. Inflammatory adhesions in patients who has not undergone any preceding abdominal surgery were found to be present in 10%. In patients who had previous abdominal surgery postoperative adhesions were found in 93% and inflammatory adhesions in 20%. In a review over the last 25 years it has been shown that adhesions accounted for 1% of all surgical admissions and 3% of all laparotomies in a particular surgical unit. It is likely that although the incidence of adhesive obstruction is increasing, it is doing so because more and more patients are being submitted to laparotomies each year. Adhesions can be classified as either congenital or acquired. The acquired type is further classified into inflammatory and post surgical. Of all the types described majority of cases are postsurgical. Many studies have been performed to study the time interval from surgery to obstruction. As yet results are not conclusive. The incidence though difficult to be determined is put forward to be 3% of all laparotomies for adhesive obstruction. All operations which involve handling of the viscera in the infracolic compartment are more likely to produce adhesive intestinal obstruction  The possible explanation put forward for them is trauma to the small bowel at the time of surgery. Adhesions which involved the small bowel alone occurred in only 8% of cases. Overall the omentum was involved in 57% of sites for adhesions and the small bowel was involved in 27% of sites. Adhesions between the small bowel and the site of previous surgery caused obstruction in 52%. Adhesions which involved the small bowel alone caused obstruction in 24%. [14,15,16] If the distribution of these obstructing adhesions is compared with that of any adhesions that develops after abdominal surgery, it is clear that although omental adhesions are the most common adhesions to be found they are at low risk of producing intestinal obstruction. Adhesions between small bowel and other viscera or other loops of small intestine occur less frequently but are far more likely to cause adhesive obstruction. The omentum plays a protective role in adhesion formation. Adhesive obstruction after total colectomy is well known. This is because the operation involves, omentectomy and this will remove the organ that forms safe adhesions. As a result it would leave adhesiogenic areas exposed to the small bowel and will result in higher incidence of small bowel adhesions. Another significant factor is a frequent practice to divide any adhesions that are encountered. The division of adhesions which involves the small bowel are at a high risk of later obstruction. Simple adhesiolysis is usually employed in those patients who require surgery for adhesive obstruction. Recurrence rate after adhesiolysis is 11% to 21%. In patients with recurrent obstruction adhesiolysis is combined with a plication procedure or with an insertion of a long intestinal tube. The plication procedures of Noble or Childs and Philips depend upon sutures to hold the small bowel in a specific position so that further adhesive obstruction cannot occur. The long intestinal tube is designed to hold the small bowel in a series of open loops until subsequent adhesions form to maintain the bowel in position and then the tube can be removed. The noble plication has a high incidence of complication hence it is abandoned. [24,26] Although good results have been reported for the long intestinal tubes its use should be confined to patients after division of extensive intraabdominal adhesions. Though there is a better understanding of the mechanisms which lead to adhesion formation,yet there is no pharmacological means of preventing the formation of adhesions.Peritoneal trauma and ischaemia are potent stimuli for adhesion formation. This mechanism for adhesion formation supports the use of fibrinolytic agents as anti-adhesion agents. The commercial production of tissue plasminogen activator rt-PA by recombinant DNA techniques has permitted the study of the use of this agent in adhesion formation. [21,22] It has been used to replace the reduced plasminogen activity of traumatised peritoneum. The effectiveness of rt-PA as an anti adhesive has been confirmed in animal models. Its effectivity in humans has still to be tried out. But it appears to be the most promising agent. Laparoscopic surgery may prove to be the solution to the problem. A study conducted by Luciano demonstrated that when a stimulus is applied at open laparotomy in an animal it produces more adhesions than when the same stimulus is applied through the laparoscope. The advent of laparoscopic surgery will undoubtedly alter the incidence of adhesions developing after surgery. The reduced bowel trauma from handling, the absence of large abdominal wounds and the exclusion of foreign material such as starch and guaze from the abdominal cavity will reduce adhesion formation after laparoscopic surgery. It is possible that in the future these problems may be reduced by some form of rt-PA peritoneal lavage after surgery that will prevent adhesion formation or reformation. Adhesion study group. Reduction of post operative pelvic adhesions with intraperitoneal 32% dextran 70 : a prospective randomised clinical trial. Fertil steril 1983; 40 : 612-19. Bevan PG. Adhesive Obstruction. An R Coll surg Engl 1984; 66 : 164-9. Bizer LS, Liebling RW, Delaney HM, Gliedman HL. Small bowel obstruction. The role of non operative treatment in simple intestinal obstruction and predictive criteria for strangulation obstruction surgery 1980; 407-13. Brightwell NL, Mcfee AS, Aust JB. Bowel obstruction and the long tube stent. Arch Surg 1977; 112 : 505-11. Bizer LS, Delaney HM, Genut Z. Observations on recurrent intestinal obstruction and modern non operative management. Diag Surg 1986; 3 : 229-31. Baker JW. A long jejunostomy tube for decompression in intestinal obstruction. Surg Gynaecol obstet 1959; 109 : 518-20. Buckman RF, Woods M, Sargent L, Gervin AS. A unifying pathogenetic mechanism in the etiology of intraperitoneal adhesions. J surg Res 1976; 20 : 1-5. Buckman RF, Buckman PD, Hufnagel HV, Gervin AS. A physiologic basis for adhesion free healing of deperitionealized surfaces. J surg Res 1976; 21 : 67-76. Childs WA, Philips RB. Experience with intestinal plication and a proposed modification. Ann surg 1960; 152 : 258-65. Fuzun M, Kayona KE, Harmanciouglu O, Astarciglu K. Principal causes of mechanical bowel obstruction in surgically treated adults in Western Turkey. Br J Surg 1991; 78 : 202-3. Gilmore OJA, Reid C. Prevention of peritoneal adhesions by a new povidone iodine /PVP solution. J surg Res 1978; 25 : 477-81. Germin AS, Puckett CL, Silver D. Serosal hypofibrinolysis. A cause for postoperative adhesions. Am J Surg 1973; 125 : 80-8. Holtz G, Baker ER. Inhibition of peritoneal adhesion formation after lysis with 32% dextran 70 fertil steril 1980; 34 : 294-5. Hofstetter SR. Acute Adhesive obstruction of the small intestine. Surg Gynaecol obst 1981; 152 : 141-4. Hall RI. Adhesive obstruction of the small intestine; a retrospective review. Br J clin Pract 1984; 38 : 89-92. Laws HL, Aldrete JS. Small bowel obstruction; a review of 465 cases. South med J 1976; 69 : 733-4. Luciano AA. Laparotomy versus laparoscopy. prog clin Biol Res 1990; 358 : 35-44. Menzies D, Ellis H. Intestinal obstruction from adhesions-how big is the problem? Ann R coll Surg Engl 1990; 72 : 60-3. Maetani S, Tobe T, Kashiwara S. The neglected role of torsion and constriction in pathogenesis of simple adhesive bowel obstruction. Br J surg 1984; 71 : 127-30. Mryhe Jenson O, Lassen SB, Astrup T. Fibrinolytic activity in seasonal and synovial membranes. Arch Path 1969; 88 : 623-30. Menzies D, Ellis H. Intra abdominal adhesions and their prevention by topical tissue plasminogen activator. J R Soc Med 1989; 82 : 534-5. Menzis D, Ellis H. The Role of plasminogen activator in adhesion prevention. Surg Gynaecol obstet 1990; 172 : 362-6. Nemir P. Intestinal obstruction: ten year surgery at the hospital of the University of pennsylvania. Ann Surg 1952; 135 : 367-75. Noble TB. Plication of small intestine as prophylaxis against adhesions. Am J surg 1937; 35 : 41-4. Nikitin Yu P, Shunkova EI, Sysoev AN, Severmy VY, Ledeneva OA. Fibrinolytic properties of human serous membranes. Arkh patol 1968; 30 : 66-9. Perry JF, Smith GA, Yonehiro EG. Intestinal obstruction caused by adhesions: a review of 388 cases. Ann surg 1955; 142 : 810-16. Plyforth RH, Holloway JB, Griffin WO. Mechanical small bowel obstruction: a plea for surgical intervention. Ann surg 1970; 171 : 183-8. Porter JM, MC Gregor FH, Mullen DC, Silver D. Fibrinolytic activity of mesothelial surfaces. surg forum 1969; 20 : 80-4. Raftery AT. Method of measuring fibrinolytic activity in a single layer of cells. J clini pathol 1981; 34 : 625-9. Stewardson RH, Bombeck CT, Nyus LM. Critical operative management of strangulation obstruction. Ann surg 1978; 187 : 189-93. Stewart RM, Page CP, Brendar J, Sch wesinger W, Eisinhut D. The incidence and risk of early postoperative small bowel obstruction: a cohort study. Am J surg 1987; 154 : 643-7. Turner DM, Croom RD. Acute Adhesive obstruction of the small intestine. Am Surg 1983; 49 : 126-30. Vipond MN, Whavell SA, Thomson JN, Dudley HAF. Peritoneal fibrinolytic activity and intra abdominal adhesions. Lancet 1990; 335 : 1120-2. Vick RM. Statistics of acute intestinal obstruction. Br Med J 1932; 2 : 546-8.